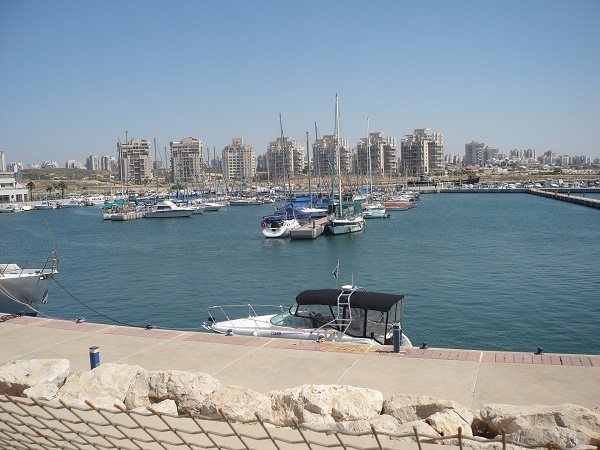 Israel houses nearly 8 million people situated on the Mediterranean coast of western Asia. Israel is considered to be the Holy Land that God promised to Abraham by many of the world\'s largest religions, including Judaism, Christianity, Islam and Bahai Faith. Moses is believed to have later led the Hebrew Israelites to the area, which they conquered from the Canaanites. At times, they were subjected to many of the neighboring peoples and empires that worshipped many pagan gods. The State of Israel, which is situated in the Middle East, has a total land area of 8,367 square miles. It shares land borders with Lebanon, Syria, Jordan and Palestine. The nation of 8,296,000 million people is comprised of Jews (75.3%), Arabs (20.7%) and other nationalities (4%). Minorities in Israel include Armenians, South Asians and Africans. The government of Israel is a parliamentary republic presently headed by President Shimon Peres and Prime Minister Benjamin Netanyahu. The 120-member Knesset parliament passes laws, elects the officials in the executive arm and supervises the operations of the government. 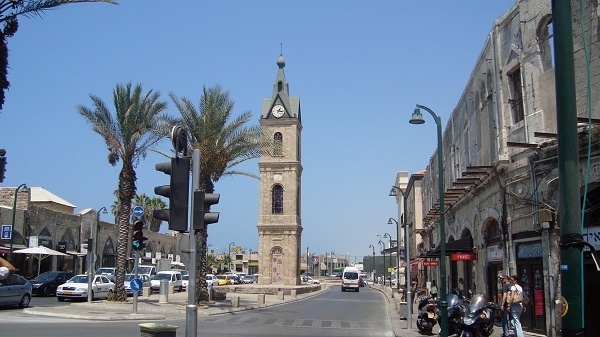 The main administrative districts or mehozot include the capital city of Jerusalem, Haifa and Tel Aviv. The capital Jerusalem is the largest municipality with a population of 773,800 residents and a total land area of 49 square miles. Business and technology parks are situated in the three metropolitan areas: Tel Aviv, Haifa and Be’er-Sheva. Israel is one of the most advanced economies in the Middle East, with the second-largest number of start-up enterprises in the world. Each year, thousands of local and foreign workers apply for jobs in high-tech companies across the country. The MATAM Hi-Tech Park in Haifa offers jobs to over 8,000 skilled workers in telecommunications, data storage, cyber security and nanotechnology. Some of the international companies operating in MATAM include IBM, Intel, Microsoft, Google and Philips. In September 2013, the Advanced Technologies Park (ATP) in the city of Be’er-Sheva was inaugurated to be Israel’s next Silicon Valley. Presently, Israel is going through some tensions with Palestine and which has led to dangerous acts of terrorism that involve land mines and casualties. Expats looking to immigrate will find that they are advised to be on high alert and exercise extreme caution when it comes to moving to Israel. Expat workers (accounting for 40% of the total population) are offer job opportunities in other sectors. Israel’s academic institutions and research universities are in the market for top-notch lecturers and research staff. Tourism is also a key sector in the Jewish state. In 2013, a record of 3.54 million foreign tourists travelled to the country primarily to visit religious and archaeological places, including the Western Wall located in the Old City of Jerusalem. The Middle Eastern nation also has the world’s highest number of museums per capita. Israel’s official languages are Hebrew and Arabic though English is widely used in business and tourism. English-speakers, natives or not, are in demand in hospitals and large industrial corporations. Expats may also venture into language tutorials for young children and professionals. As Israel is going through a period of unrest, job opportunities in major areas may be challenging to locate. The average salary in Israel currently stands at 7,000.00 - 9,700.00 NIS. Expats are entitled to the same benefits afforded to Israeli employees such as private health insurance coverage and housing. The law also mandates employers to provide their employees transportation, either through a transport service or allowance. Expats moving to Israel are advised to be alert and prepare for any extreme emergency situations that may occur. Israel's shipping regulations can be a little complicated for those who haven't gone through the process. However, removal companies can make things a lot easier to understand and follow. Expats will need to note that the present political situation in the country can make it a challenge to ship objects, as Israel is experiencing unrest, bombings and terrorist attacks as well. There will be a lot of documents needed for overseas shipping, the most basic of which include all passports for all people traveling, a residence Visa, a Certificate of Residence and a detailed inventory in Hebrew of all items shipped to Israel. Those who have just migrated or are staying in the country for a short time could bring in items duty - free for the first three years of their stay. To be able to ship items to Israel, an expat should have lived for at least a year in his country of origin. All items that are claimed to have been inherited by their current owner should come with certain documents will require taxes. To be successful in one's plans for relocating to Israel, it is also good to know what items are forbidden from entry into the county. These include musical instruments, computers, and telephones, among others. Prohibited from entry are firearms, ammunition, tear gas and other harmful chemicals, seeds and live plants, any material with pornographic content and more. For a complete list of prohibited items, it is best to ask movers in Israel who are experts who know the ins and outs of international shipments. Requirements for removals to Israel can be very detailed. It is best to hire relocation service providers in order for the process to be easier and simpler. Expats who are going through the shipping and removal process are advised to be very cautious when relocating to Israel. Israel is a progressive country located near the Mediterranean seas. Aside from having a booming economy, this 'Jewish and Democratic' state is also known for being the high-tech hub of the Middle East. 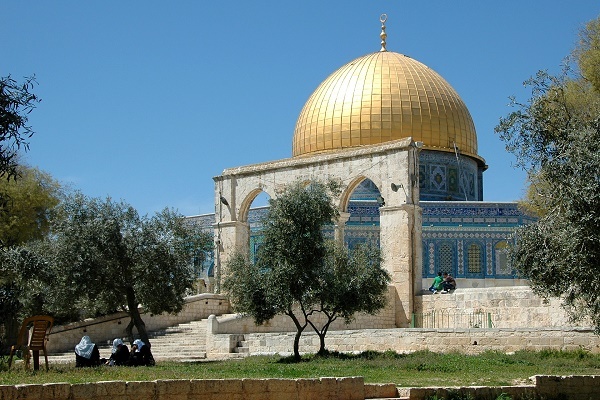 Expats will undoubtedly enjoy the opportunities and adventure that this Holy Land can offer. There are numerous reasons why so many foreign nationals are drawn to Israel. Some move here because of faith while the diverse culture lures others. Among the many attractive characteristics this country possesses, the modern economy built on manufacturing, information technology and tourism is one of the most popular reasons why expats choose to live here. Israel is also blessed with excellent weather conditions where its 8.2 million people enjoy warm summers and mild winters. A huge majority of foreign assignees in Israel live in Jerusalem, the largest city and the capital while others reside in Tel Aviv which is the country’s financial centre. The whole family will have a fantastic time checking out the country's best attractions such as the Jerusalem Biblical Zoo which is a 62-acre stretch of land with green hills all around it. Kids will enjoy the animals while beholding the beauty of a small lake with a lot of pools and waterfalls flowing into each other. Kids who love indoor entertainment will find the Liberty Bell Park and Train Theatre in Jerusalem which is a constant favourite because of the variety of activities such as playing basketball or ice hockey, watching a puppet show, having a picnic and roller skating. Children have a great sense of adventure can go hiking with adults in Mount Hermon, which is just perfect for outdoor fun during bright, summer days. Expats who will be moving to Israel with children need not worry about the kids' enjoyment since there are tonnes of fun places to visit in this country. However, the fun that these activities offer may be dampened by the turbulent political situation that Israel is going through. Everyone is advised to be very cautious when out with the family. For a foreigner to drive around Israel, a license should be obtained. An Israeli license should be acquired by a foreigner if he decides to stay in this country for more than a year. Anyone caught driving without a license will be punished, and is subject to the invalidation of the car's insurance policy. In Israel, the use of seatbelts is strictly imposed, and anyone caught violating this rule will be penalised. Expats will find relief that all road signs are written in three languages: English, Arabic, and Hebrew. The driver's seat in most cars is located on the driver's left, and driving will be done in the right lane at all times. This is how things are done in most parts of the world, and it is unlikely that expats will have a hard time while driving in Israel. Expats can choose from several Israeli banks such as the Union Bank of Israel and the First International Bank of Israel. Foreign banks in this country include HSBC, Barclays and CitiBank. Israelis are known to be rather tough on the outside but nice and kind on the inside. People are usually straightforward or honest, and they believe that the overly warm and friendly ways of other people from other cultures are nothing but hypocrisy. They would rather say what they mean and be sincere about life in general. Even with their often misunderstood behaviour, Israelis are people who value relationships and are always willing to do what they can to make this felt by those who matter to them. Again, sometimes, they may be misunderstood, but they usually have pure and warm intentions. And they like to have fun, too. Because of the country's significance in the growth of religions around the world, Israelis are known to practice some very sacred traditions. For example, worn-out prayer books are not thrown but rather buried in a Jewish cemetery. In general, nobody is allowed to throw away any material, be it a book, a pamphlet, or any piece of paper, with any content about God. Every expatriate in Israel should then, as a sign of respect to observing these sacred traditions as well to have harmonious relationships with the locals.